Tone 4 brings energy to stabilize a new cycle of Spiritual Growth. Tone 4 sets the parameters and orientation that will establish our new way forward. The IMIX trecena has inspired a new Vision of the new fruit we would bear. Seed/KAN creates the Consciousness to stabilize the Seed for a New Harvest. Seed/KAN symbolizes the Force of Life within the Seed. In the 1st Uinal of impregnation and germination, KAN is about the Spark within the Seed that’s Awakened. 4 Seed/KAN represents a Spark of Knowing that something new exists. We can be Stabilized by a Consciousness that something is going on. The IMIX trecena is a child’s playground. Throughout this cycle we’ll be getting wild ideas and imaginings. IMIX’s most important job is to teach us to imagine… the Dream is the place our Star is Born. There’s a lot to be conscious of. Every new round marks a major milestone. If you look at the past 260 days, you are likely to see an important change of mind. This is a very important trecena to keep a journal. There will be so much to see in such a short time. Each round is an accelerated journey. This newer version of our Self is just opening the eyes of Consciousness. We’re only beginning to experience feelings and perceptions, creating a new history as we go. We died to the old through an Ascension, a birth of Spirit. Now we start all over on our Human path, back to the beginning of learning Truth, but from Higher Ground. KAN is the Force of Conscious Identity within the Seed. Though it holds the cellular memories of the generation before, this is it’s Own Life of Self Identity. The “new beginnings” of the world below are strategies proven worthy by reason. A “new beginning of Spirit” was Multiplied to Abundance. We aren’t pretending to start over. Through a Transformation in our Consciousness, we aren’t the same person we were before. We are given a New Beginning in Divine Justice. 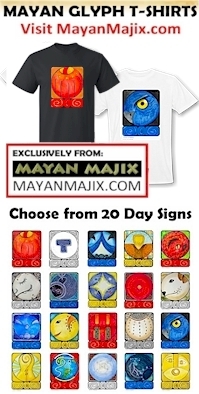 The Cherokee Day Sign is the Dragon, another symbol associated with Seed. Down through history the Dragon has symbolized of the Force of Life and Spirit. The ley lines of Earth are also called “dragon lines.” Seed/KAN is the intelligence within the Seed that defines its identity. The Dragon represents the Power to “See things clearly.” KAN offers the Clear Vision to See Who We Are. A Dream intended by a Divine Trinity, was brought to Life as Consciousness. It can clearly see itself, where its going, and what it will become. KAN is a Day Sign of the South and relates to Relationships. Seed/KAN clears the karma in our relationships. This is the direction of our experience. Right Relationships can be restored. Through incremental steps, small Miracles have been adding up. New Awareness of God’s Hand in the world can change everything over another 260 days. Our Creation will be manifested by Love. This is a day to Love what the Creator intended us to be. When we clearly see our Self and the Truth of Transformation, we can become what we Imagine. Seed/KAN persons use their ability to overcome by serving as public defenders, uniting community by exposing hidden traps and secret influences. We must clearly see the Blessing to the Whole. To all my relations, may we see our Self as the Corn of a new generation, planted on Higher Ground. May we draw our Self to Mother Earth, and feel her vibration through bare feet. May we imagine a dark loamy spot where soil has already been cleared, a Growing Place where there are no obstacles to get in the Way. May we imagine how it will accelerate our growth. We’ll reach the Sun in the shortest amount of time and grow to greater heights with a greater abundance of seeds. May we Hold Faith on behalf of those who are unconscious of their own change. May we Rejoice in Gratitude for the Consciousness to experience our unfolding change. I’m grateful for the Consciousness to imagine how God sees me.